Building upon the success of the first edition, we organize the second edition of the Text2Story Workshop on Narrative Extraction from Texts in conjunction with the 41st European Conference on Information Retrieval (ECIR 2019) on April 14, 2019. Our objective is to further consolidate the efforts of the community and reflect upon the progress made since the last edition. Although the understanding of natural language has improved over the last couple of years – with research works emerging on the grounds of information extraction and text mining – the problem of constructing consistent narrative structures is yet to be solved. It is expected that the state-of-the-art has been advancing in pursuit of methods that automatically identify, interpret and relate the different elements of narratives which are often spread among different sources. 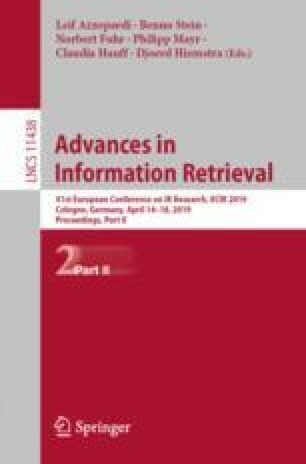 In the second edition of the workshop, we foster the discussion of recent advances in the link between Information Retrieval (IR) and formal narrative representations from text. First two authors of this paper are financed by the ERDF – European Regional Development Fund through the Operational Programme for Competitiveness and Internationalisation – COMPETE 2020 Programme within project «POCI-01-0145-FEDER-006961», and by National Funds through the FCT – Fundação para a Ciência e a Tecnologia (Portuguese Foundation for Science and Technology) as part of project UID/EEA/50014/2013.